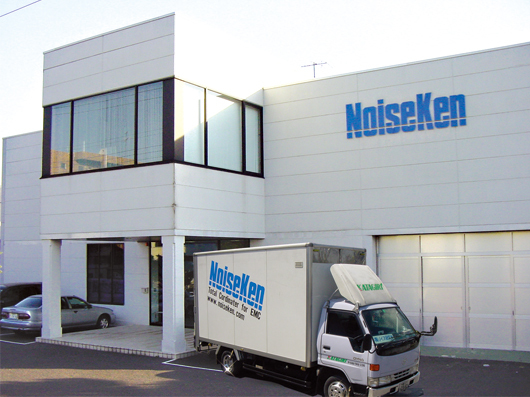 Company Profile - NOISE LABORATORY CO.,LTD. Company name NOISE LABORATORY CO., LTD.
For over 40 years from its foundation in 1975, Noise Laboratory has been focusing on immunity test equipment and related solutions. Now our product lines include various types of immunity test equipment ranging from those conforming to IEC 61000-4 series standards, other international or national immunity standards and even to customer's in-house test standards. The company's first product INS series Impulse Noise Simulator is a kind of universal immunity tester having many unique features, which cannot be met by other type of products. For this product series, the number of units shipped is over 7,000. This series models have become the de-facto standard instrument for transient disturbance immunity test for power and other leads. The benefits users can enjoy include fast rise time of the generated pulse containing much higher frequency components, pulse widths and coupling mode selection of either of common or normal mode, and others. From the release of the first model conforming to the 2nd edition of the IEC 801-2 (now IEC61000-4-2), now NoiseKne's ESD simulator is the fifth generation with more reliability and perfection. The following features remain unchanged from the first generation: 30KV output in both contact and air discharges and easily changeable CR networks. As an economical option to the best-selling programmable ESD simulator ESS-S3011A, NoiseKne released a new product, less expensive manual controlled simulator ESS-B3011A that is also very easy to use while maitaning exactly the basic capability, to more flexibly meet customer's budget.